Over the last five years, smart thermostats in domestic properties have become more and more popular. If you’re stuck in traffic on a cold winter afternoon, you can simply open a free application on your smart phone and get the heating going, ready for when you arrive. Alternatively, if you’re in a rush to leave and think that you may have left the heating on, you can simply check and make changes as you wish. This article will show you 5 smart central heating thermostats for your home. Smart thermostats really are fantastic pieces of equipment and I firmly believe that it will not be long before they are being installed as standard on the majority on boiler installations in Milton Keynes and other areas. As technology continues to improve, the plumbing and heating industry has been one of the trades that has welcomed change and really improved with it. Here are 5 smart central heating thermostats for your home. Manufactured by technology giant Google, the Nest is one of the original smart thermostats that has proven to help homeowners and tenants save money on their energy bills. Now on the third generation of thermostats the Nest learns your heating and energy patterns and optimises your heating system for maximum efficiency. You can purchase a Nest thermostat off of the shelf from stores such as John Lewis and Plumb Centre. The HIVE smart thermostat is arguably the biggest competitor for Google and their Nest Stat, however, British Gas have struggled to match the impressive intelligence of the Nest. The HIVE makes controlling your central heating incredibly easy with its ease of use and smart applications. It comes with a remote on/off control and the ability to create weekly and daily heating scheduling. Now I won’t lie, I had to research this one a little as I hadn’t heard too much about it. However, from my findings the Tado smart stat is just as useful as any other smart thermostat on the market. Tado is able to track the position of people in the property and knows exactly when to turn the central off and on. It recognises that the property is empty and shuts down the central heating. It also monitors weather patterns, changing the temperatures to suit the day. A little way off of the Nest and HIVE but a good alternative to consider. 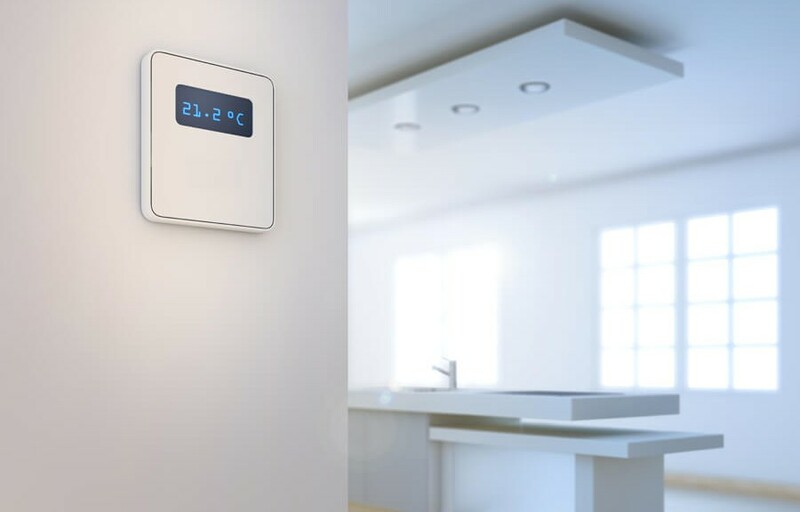 Worcester Bosch has been the daddy of central heating boilers for years now and it appears that they are determined to provide a smart thermostat that is able to dominate the industry too. The WAVE works solely with their Greenstar combination and system boilers, restricting it to their products. However, if you have a Worcester Boiler installed by one of their recommended boiler installers in Milton Keynes you can become eligible for extended guarantees and other benefits. Just like the Nest and HIVE, it learns to adapt to your energy usage patterns, has a wireless on/off feature and helps to improve the efficiency of the heating system. The Netatmo is certainly one of the more basic smart stats currently available, but is great value for money. The features are limited and are not as glamorous as the other options that we have discussed however, it does have the traditional remote on/off feature, scheduling and an optional auto-adapt setting.